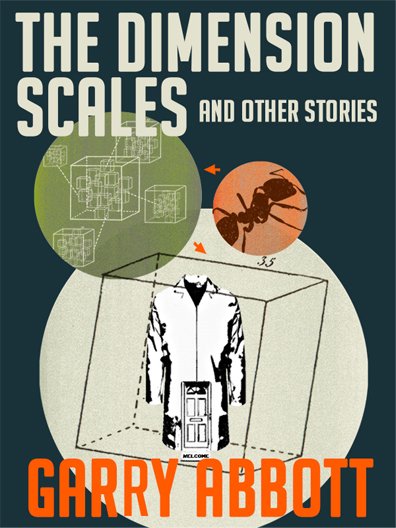 Last Thursday I reached a milestone in my life to-date: the release of my first book – ‘The Dimension Scales and Other Stories’. And now, it is here! It finally landed. Around midday last Thursday I saw the pages start to appear on the internet. I did some quick-off-the-mark promotion, but held back knowing that from the weekend I could really go to town and start getting this thing moving. Then on Friday I had to go into hospital. Luckily it was for nothing serious in the sense of life-threatening, but it has knocked me back and I am still recovering. (I won’t go into details). It has been a challenging time; wanting to do so much but being unable. Trying to reconcile the notion of rest and recovery with the energy of long-held expectation and excitement. I tried to do some work here and there, but it was unfocussed, and uncomfortable, and wasn’t helping in the long term. So I resolved to defer a week to get better. Which more or less lands me here, now, still not totally better, but getting there, finally able to abide sitting at my computer, typing this, right now, with my fingers, using my eyes and brain and suchlike. What has been fantastic and lovely and heart warming is the support I have already received from my friends and family (for both the book and my rubbish week!). It almost makes it all worth it, even if I were to only sell a handful of copies. But I don’t want to sell a handful of copies, I want to sell absolutely loads of them! Not because I’m greedy, I wouldn’t be trying to work full time as a writer and musician if I was greedy, but because I have spent a lot of time and thought on this project. I also have a little theory that a book needs an audience. Not to say that you cannot or should not write for yourself if you wish, but it is how the stories I have put together are represented and interpreted by each and every reader, each of whom will have a slightly different experience of the text, guided as much as possible by what I conceived and wrote, but ultimately making it belong to them with their own unique imagination. That’s what I want to see, because that’s what I enjoy happening to me when I am absorbed by other’s art. This feels like a straightforward and simple transaction between myself and my readers. I hope you agree. And I hope that for the price of a pint of beer you may enter into this relationship with me, I would be very grateful, and I promise to do my best to keep providing you with things to stimulate your imagination and entertain. Below are links to where the book is available for sale. These are all eBook versions. Many people have asked me about print copies but unfortunately this is not currently available. This is a cost issue more than anything. If you don’t have a pad or eBook reader, you can download free software from Amazon or apple to read digital books on your PC or MAC: it’s all there on the site and easy to do. If you do buy and read my book I would be really grateful if you could also leave a review on the page you bought it from – that way I am more likely to attract passing readers. And also, tell your friends! ← ADMIN CAT! Bright Spark.